I wait all year with giddy anticipation for my peonies to bloom. So with much hoopla, I am proud to announce that my white peony has blossomed. Does it sound like I’m announcing the birth of a child or something? Well, same sort of thing. I think it’s a Duchesse De Nemours, but I have lost the tag that came with it so I am not 100% sure. Get out of my buds! I also have a light pink Sarah Bernhardt peony which should be blooming within the week and a brand new dark pink Victoire de la Marne which isn’t even in the ground yet. just a little droopy and water logged. But the ants are back, so that’s a good sign. 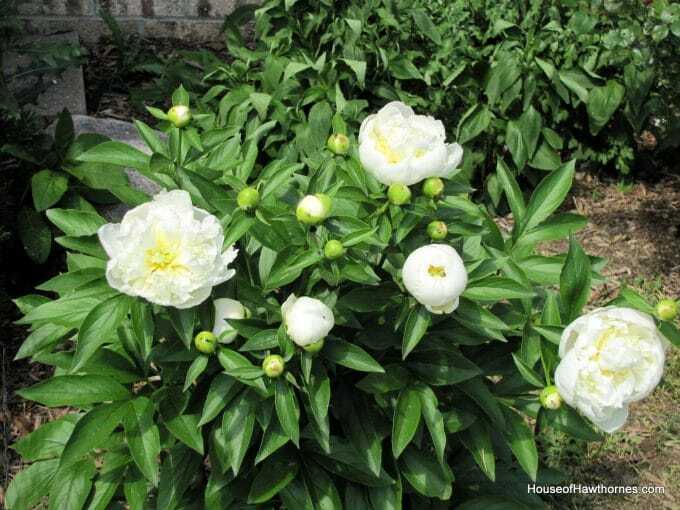 Your white peonies are beautiful. We’re still a a week out from blooms in West MI. 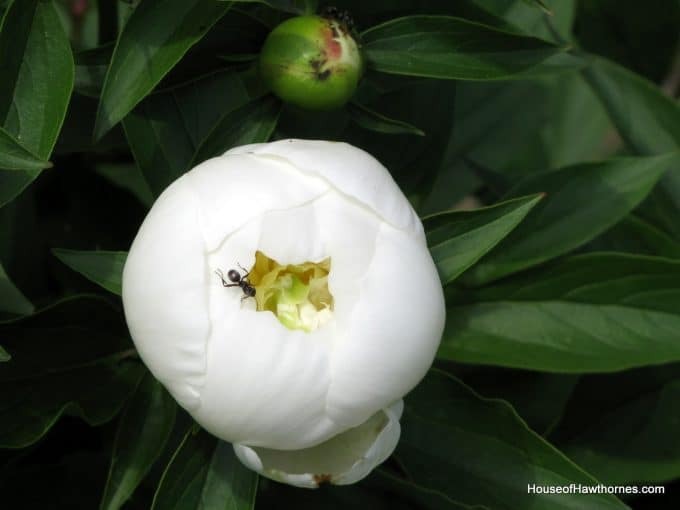 They are my favorite flower….ants and all! *sigh* So pretty! I can relate, this is big time stuff. I’m hoping to be making my own announcement soon! Oh so pretty. I have a few buds on my peonies, I’m hoping they’ll be as wonderful as yours…I haven’t planted them yet. I want to have these in the yard so bad. I wonder if it is too hot here in FL. They seem so delicate! 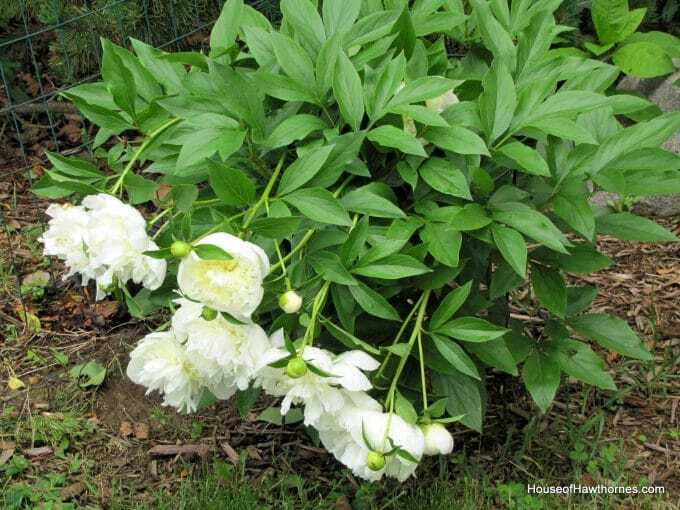 Beautiful peonies, Pam. Love the shot with the ant! 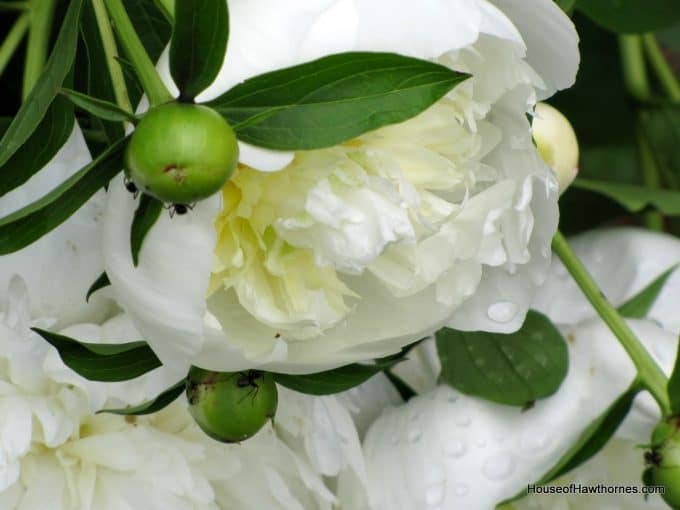 My peonies are done for this year, the storm last night took care of that…I will miss the heavenly scent of them. They are stunning and I am so glad I get to see them for I cannot grow them in this nuclear heat. I use to have a pink peony. But the ants just devoured it. What’s with the ants and the peonies? Hi Pam! I think blogger is up and running for me now. Love the peonies…and Erin is a doll too. I have that soap dispenser, it is awesome! 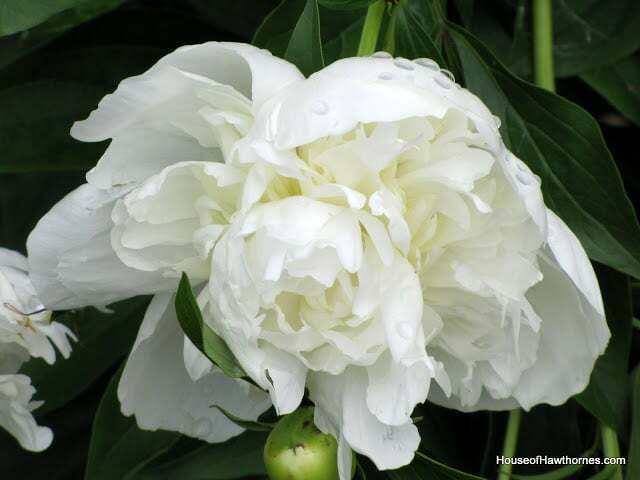 Thank you for visiting my blog, yours is gorgeous, just the the peonies. Pam- Your blooms are lovely! I wish I could grow flowers in a garden- it’s all I can do to keep the entry pots watered! Of course, with all this crazy wet weather Ohio has been having, I haven’t watered but the first time I planted them! Did you get the bad storms last night? There were HUGE hailstones in our area- up to the size of a baseball! Thank goodness we only got hit with little ones- inch and a half. I absolutely LOVE peonies. White ones and palest pink are my favorite. Mine are a slightly darker pink than I would prefer, but what’s a girl to do. 😉 Mine are just beginning to open, which is typical. Stormy weather comes along just as the peonies open, often leaving them tattered, but I try to get as many in as possible. Thank you for sharing your gorgeous white peonies with us. It made my day! 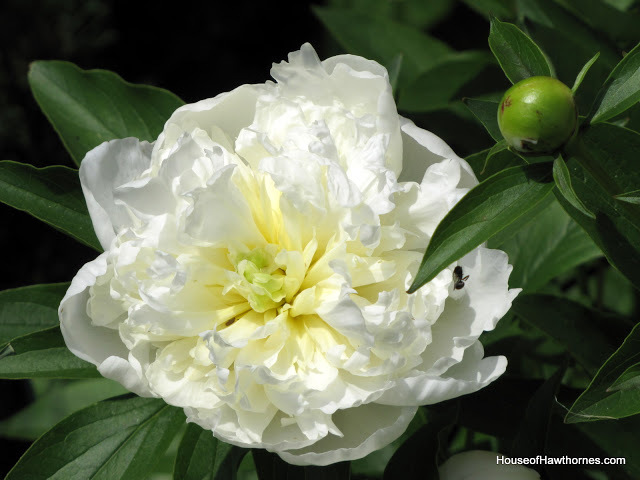 Your peonies are beautiful Pam! I love the white. 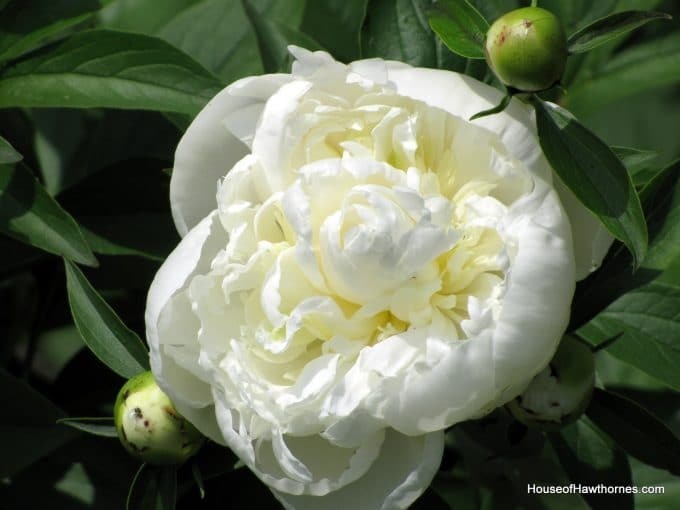 I may have to try peonies this year but it has been raining so much I haven’t had time to garden. I hope that you didn’t get too bad of storms yesterday. What a pretty peony! Does it smell divine? Ours haven’t opened yet, but we did have our first rosebush bloom this week! Yay! Peonies are one of my favorites. I wish they lasted all summer!